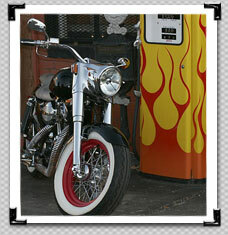 Arlin has a vast collection of custom bikes. We’ll bring you a feature on one from time to time, when he’ll dust one off and roll it out in the Colorado sun. This entry was posted on Tuesday, May 3rd, 2011 at 4:06 pm	and is filed under . You can follow any responses to this entry through the RSS 2.0 feed. You can leave a response, or trackback from your own site.